For the most part, the bullfighting season in Spain runs from April until September, with most major cities having one event a week (usually on a Sunday). However, there are also a number of bullfighting festivals throughout the season. These bullfighting festivals usually run for one or two weeks and have bullfights almost every day during the festival. The most famous bullfighting festival in Spain is, of course, the Pamplona Running of the Bulls at the San Fermin festival in July (which features actual bullfights as well as the famous bull runs) but there are plenty of other bullfighting festivals all over Spain that garner less attention. This list is by no means exhaustive, but it gives you an idea of some of the bigger bullfighting festivals. The festivals listed below concentrate on bull fighting festivals. For bull runs, a la Pamplona, read more about bull runs in Spain. Event: The Carnival in Ciudad Rodrigo is different from other parts of the world. Here it's all about the bullfighting. They even invite audience participation - young bulls are provided for the public to get involved. See a full list of Spanish festivals in February. Event: The Fallas festival is Valencia's biggest party - it is mainly about the giant bonfires all over the city but there are also bullfights every day too. See a full list of Spanish festivals in March. Event: Bullfights begin with the end of Semana Santa (Easter) on the Domingo de Resurección (Easter Sunday), which usually falls in April, followed by the Feria de Abril, where you can see a bullfight every day. See a full list of Spanish Festivals in April. 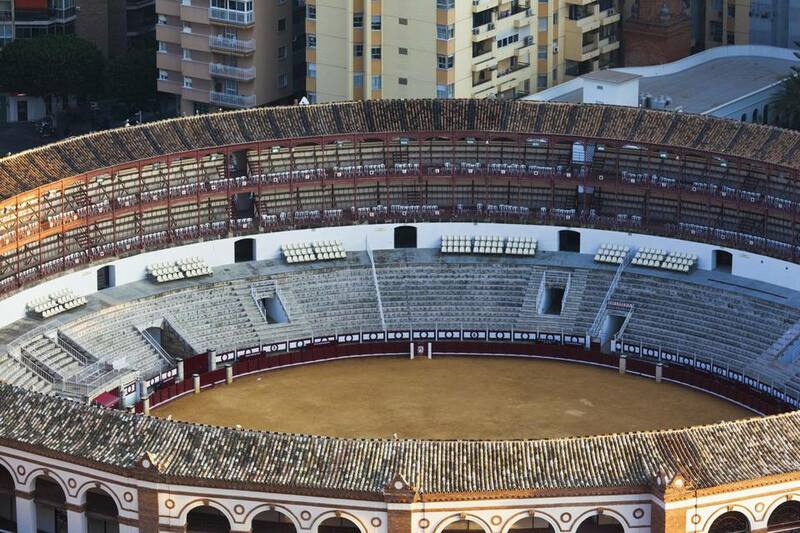 Event: From the middle of the month is the San Isidro festival, two weeks of daily bullfights at the Las Ventas bullring. Event: The Ferias de Caceres are a week of festivities at the end of May/early June, featuring plenty of bullfights. Event: The Feria Taurina Nuestra Señora de la Salud takes place in Cordoba for the last week of May (approximately) every year. Event: Las Hogueras de San Juan runs for the final week of the month with seven or eight fights during the week. See a full list of Spanish Festivals in June. Event: The San Fermin festival in Pamplona is more than just about the Running of the Bulls. The bulls that take part in the morning run take part in a bullfight at 5 o'clock later that day. Event: The best time to see a bullfight in Valencia is during the July festival (Feria de Julio). See a full list of Spanish Festivals in July. Event: The feria de Agosto in Malaga sees bullfights on an almost daily basis. Event: For the last two weeks of August there are the Corridas Generales, a bullfighting festival during which there are fights almost every day. See a full list of Spanish Festivals in August. Event: In the second week of September the inhabitants of Tordesillas celebrate the festival of the Virgen de la Peña. A bull is chased by the townsfolk and then killed. The killer is invited to cut the testicles off the bull. Another particularly unpleasant event. Event: The Corridas Goyescas, which take place in September, are Ronda's most celebrated bullfights. See a full list of Spanish Festivals in September.